A couple weeks back we talked about how excited we are for the new Scrambler from Ducati. It’s accessible. It’s affordable. It’s simple. It’s focused. It looks like a lot of fun. Thing is, the Scrambler isn’t the only new bike we’re getting from Ducati this year. 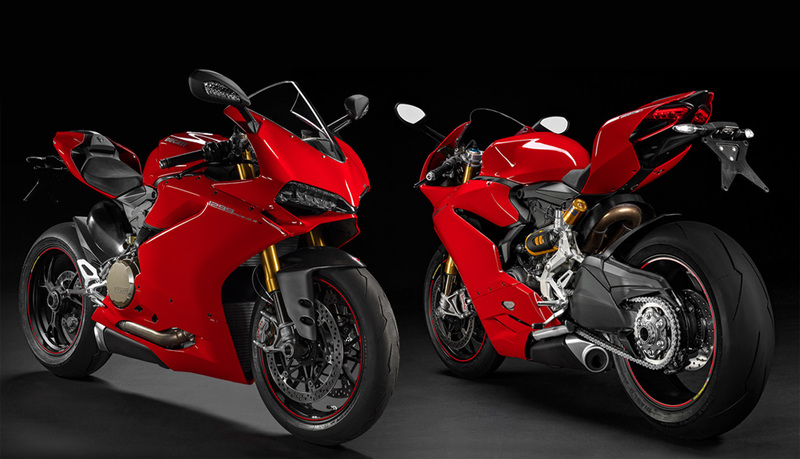 For model year 2015, Ducati has updated both the Panigale and the Multistrada. Mentioning those two bikes together is on purpose because unlike the previous generation of both models, these new iterations will share a common engine architecture. With the Panigale 1199 already one of the most rarified, high-performance motorcycles you can buy, the new 1299 is even more. This new Panigale is now boasting 205 hp on a platform weighing in just under 400 lbs. With a full compliment of electronic rider aids that include Riding Modes, Power Modes, Cornering ABS, DTC, DQS up/down, DWC, EBC, Fully RbW, Auto tyre calibration, Full LED lighting, Ohlins Smart EC with semi-active steering damper, Auxiliary adjustment buttons, ajd DDA+ with GPS-ready — this new Panigale is as much space craft as motorcycle, but in a good way. If it were any more race focused, it wouldn’t be street legal. The Panigale 1299 will be available in base, S and R trim. Of the three, I’d recommend the S for anyone not planning to actually race their Duck. It’s a great mix of features, including all the rider modes, etc. listed above. If you want to go fast, look no further. Of all the machines currently in the Ducati lineup, the Multistrada is the bike we’ve come to love the most. We put the Multistrada S Grantourismo through its paces in Driftless country last summer and it’s a near perfect mix of virtue and vice for anyone looking to have serious fun clicking off serious mileage. For 2015, the Multistrada is seeing a handful of significant updates. Tweaks to its aesthetics and ergonomics keep the bike’s familiar face. New, fully LED lighting is able to track around corners as you dip into the curves. It’s a feature we’ve seen on luxury cars for years, but now it’s found its way onto Ducati’s flagship tourer. With touring in mind, Ducati have also added cruise control to the Multi, which is a welcome addition if you ask me. 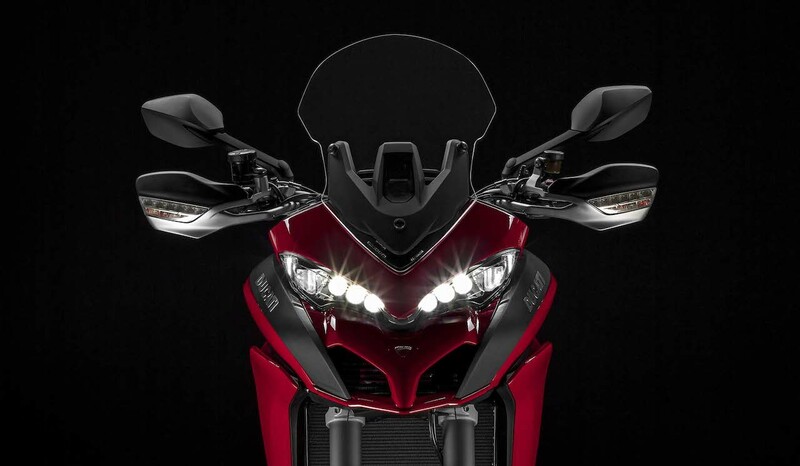 Rounding out the tech, the new Multistrada includes Cornering ABS, Traction Control, Wheelie Control, and integration with Dianese D|Air airbag-equipped riding gear. Lastly, Ducati have added not simply smartphone Bluetooth integration, but have brought smartphone info directly into the bike’s dash. These details check all the boxes where the Multistrada had previously been found wanting when stacked up against some of its sport touring competitors. 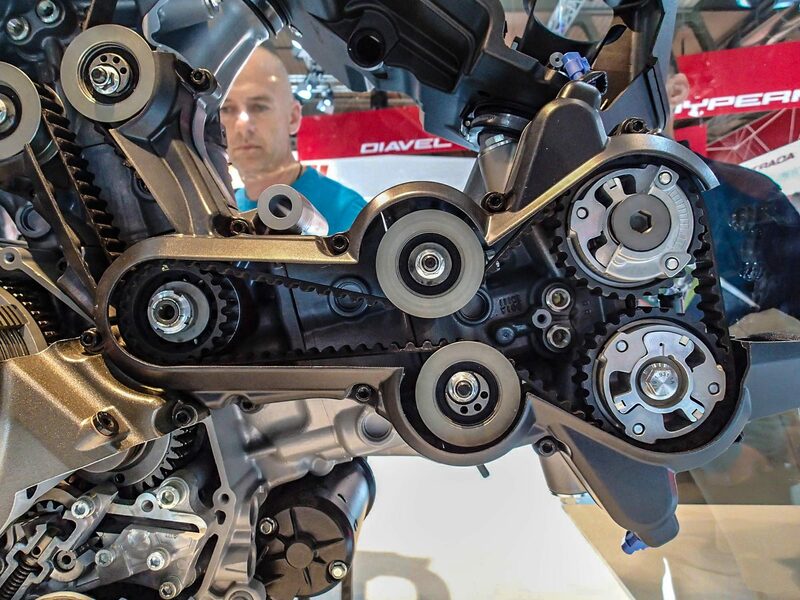 Yet for all the updates in the 2015 Multistrada, the most significant is the new engine. While still a 1200cc-class engine, the new Multistrada engine features a world first for Ducati: Desmodromic Variable Valve Timing (DVT). The result is a smoother engine, better mpg (by 8%), and a bump up to 160 hp. Best of all, this new system pushes the service interval to 18,000 miles. You read that right. That’s 18k miles between valve clearance checks on a Ducati. The previous two generations of the Multistrada have been utterly brilliant motorcycles, and we can’t wait to get our hands on this new Multi. If you want to pack on some serious miles this year, one of the best options on the market just got better. When will we see these new models? The short answer is early spring. Ducati will bring examples by the shop for everyone to see in the coming weeks, and we’ll be throwing some sort of bigger lauch event for the Scrambler, as we know this is a bike everybody wants a piece of. We’re still finalizing our exact dates, but keep an ear out for these key unveils this year. The Scrambler Ducati Arrived Early. We like it.